According to a new report from Digitimes, Foxconn will again be the primary manufacturer for the iPhone 6, supplying 70 percent of the expected shipments of the 4.7-inch iPhone 6 model in 2015. Shipments could begin as soon as July for the 4.7-inch model, with the 5.5-inch following shortly afterwards. The 4- and 4.7-inch iPhones will be the main sales force of Apple for 2014. Foxconn's plants in Zhengzhou, China are expected to start supplying the 4.7-inch model in July and start manufacturing the 5.5-inch one in August. Besides Foxconn, Apple also may be turning to Pegatron and Wistron to supply iPhone handsets for its next product cycle. Pegatron is believed to be a secondary supplier for the 4.7-inch iPhone 6, while Wistron may step in to supply Apple with the existing 4-inch iPhone model. Wistron is a new production partner that Apple added last year to help produce the iPhone 5c. Rumors on the larger 5.5-inch iPhone 6 model have suggested that it may arrive as a premium model in lower quantities with perhaps exclusive features such as a sapphire crystal display. A new report from Nomura Securities shared by G 4 Games suggests that the larger model is likely to carry a $100 price premium over the 4.7-inch model. Apple had previously been reported to be negotiating with carriers for a $100 price increase on the iPhone 6, but it would make more sense for that increase to arrive in the form of a higher-end model such as the rumored 5.5-inch iPhone. Digitimes has a fairly spotty track record with regard to Apple rumors, but it does occasionally offer accurate insight when sourcing information from within Apple's supply chain. Digitimes' latest report is one of several recent communications that unsurprisingly suggest mass production of the 4.7-inch iPhone 6 will begin this summer in advance of a fall launch. Apple is expected to follow the 4.7-inch model with a larger 5.5-inch version that will debut in late 2014 or early 2015. 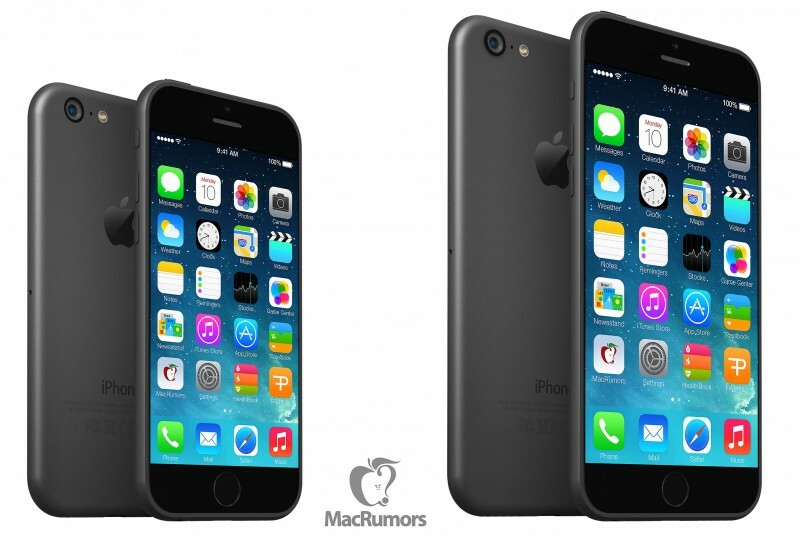 Both models may ship with Apple's A8 processor, an improved camera, and iOS 8. This is a pointless article. This exact same one has come out 3-4 times from what I can recall. Tired of the same speculation over and over and over. Give us something new. Looking good. Im happy i skipped 5s. It's about time, people are tired of iphones tiny screens. Can't wait for the first Android fanboy comment about how Apple is catching up with Android. I can't stop laughing at idiotic comments like that. I just don't care anymore. Same news every day. Why is it idiotic when its true? Heck, even blackberry has a bigger screen than iphone. Now go back and drink some more of that apple koolaide.